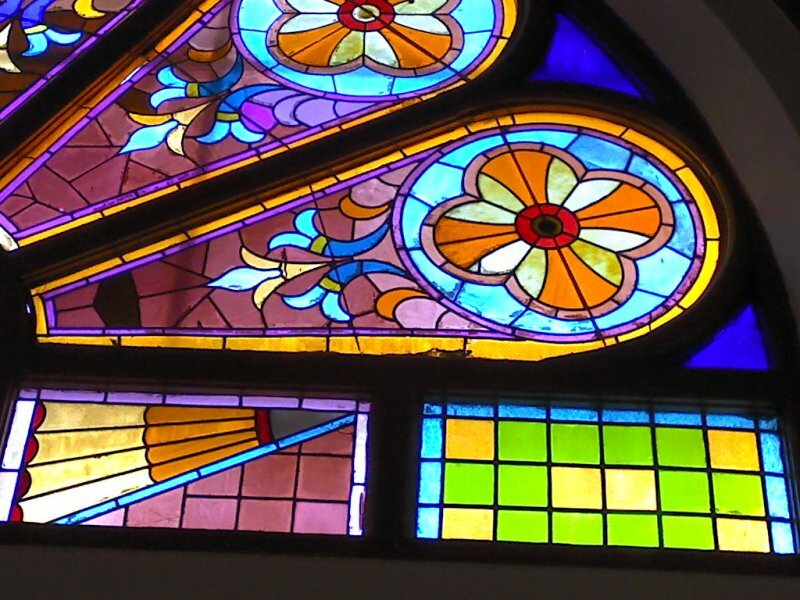 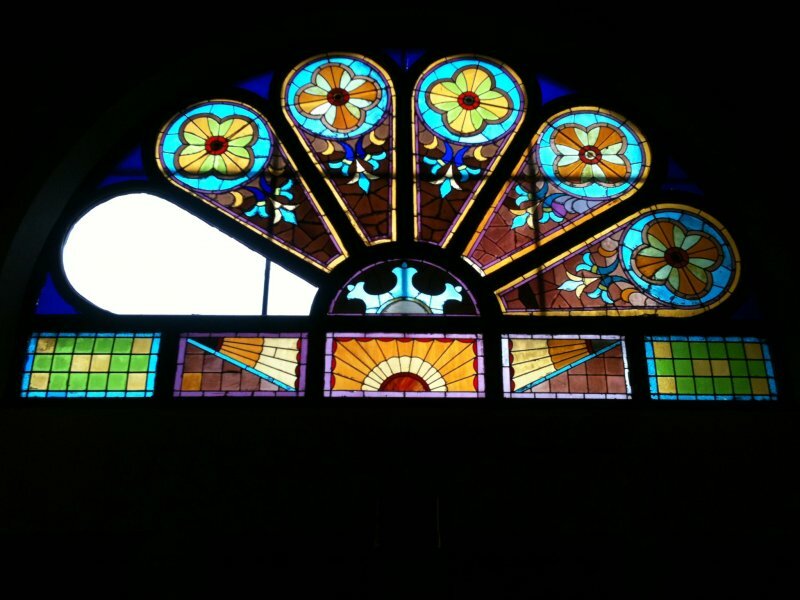 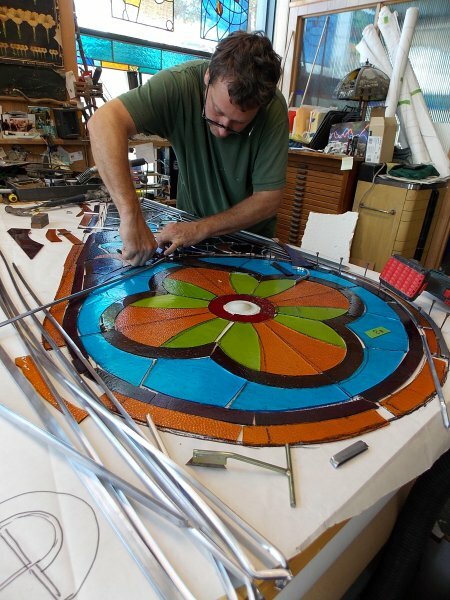 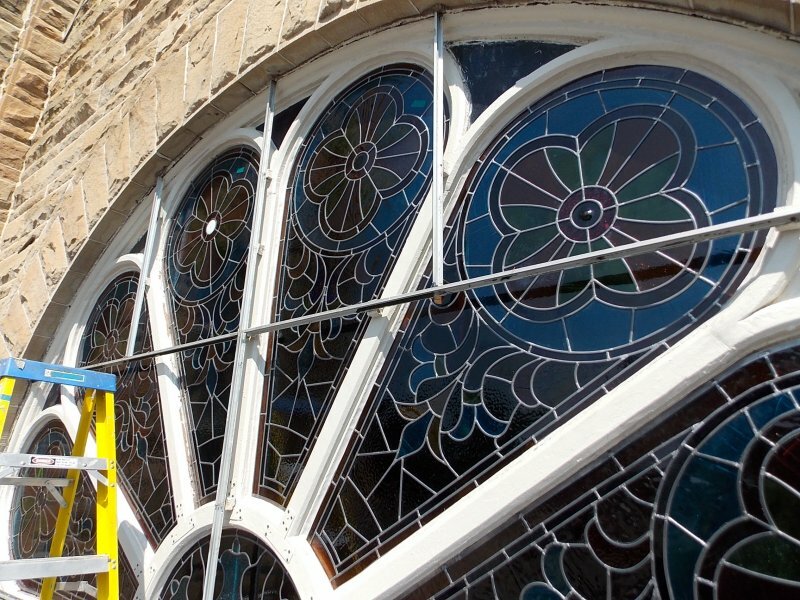 Stained glass panels in front transom window were bulged, and had been poorly repaired in the past. 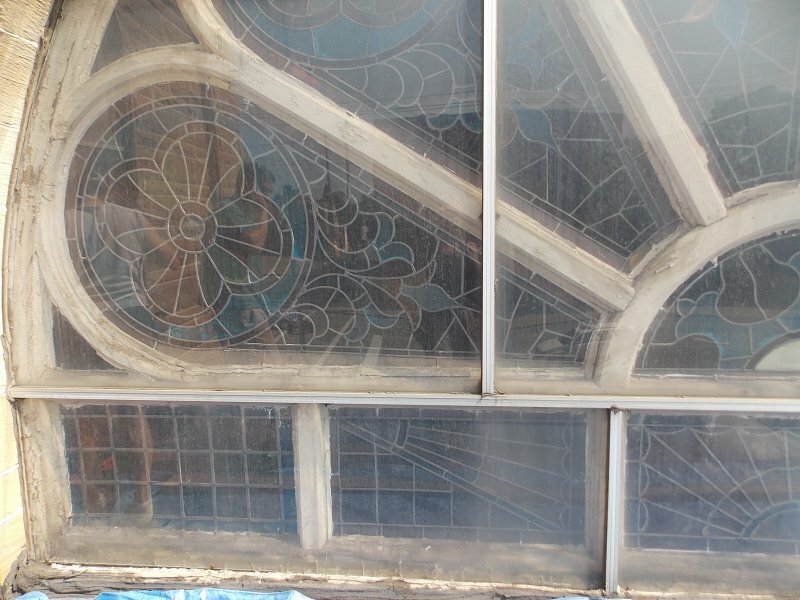 Inadequate flat reinforcement bar allowed for a panel to fall out. 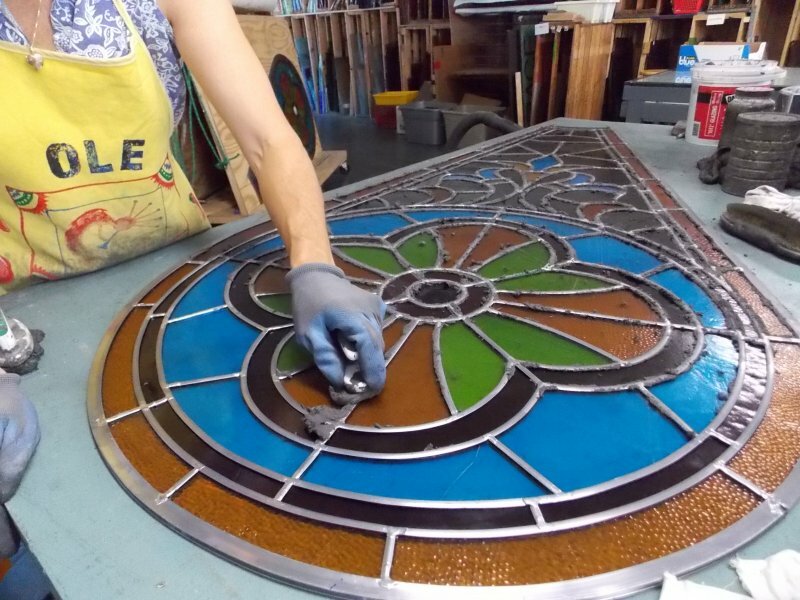 The wood frame needed to be stabilized and painted as well. 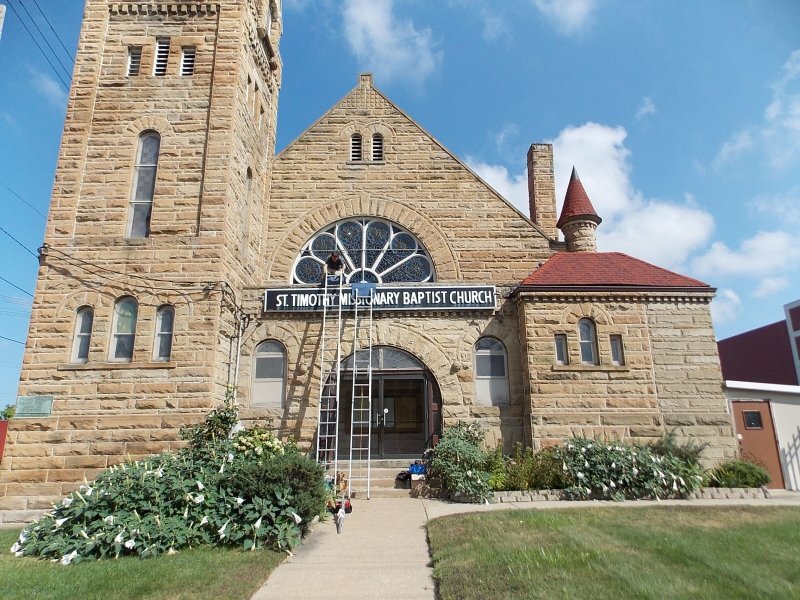 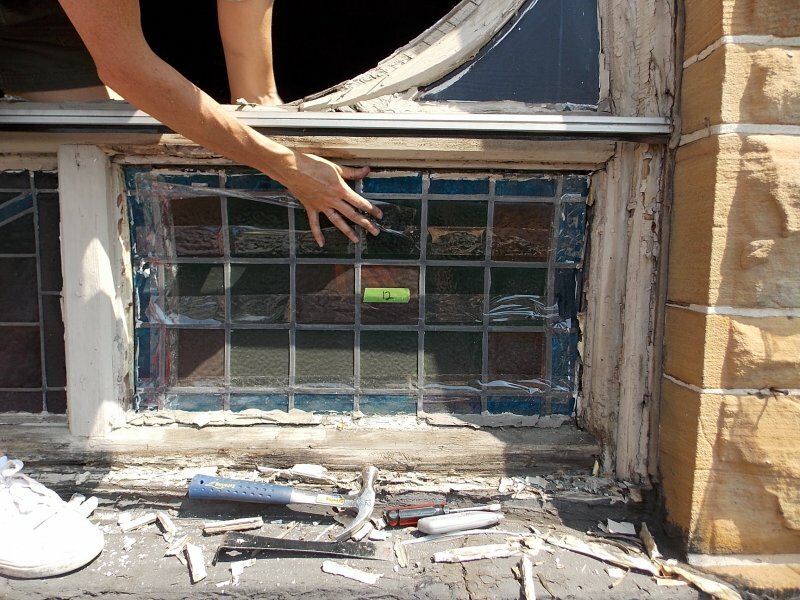 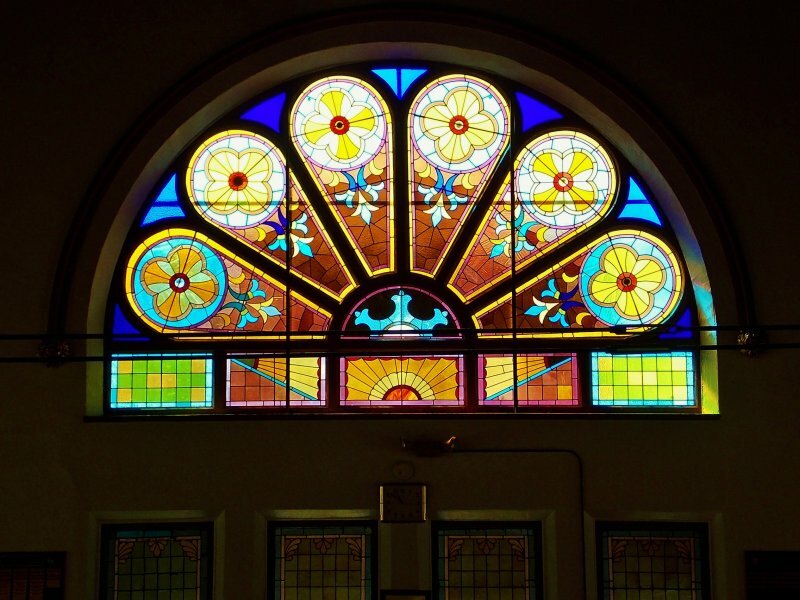 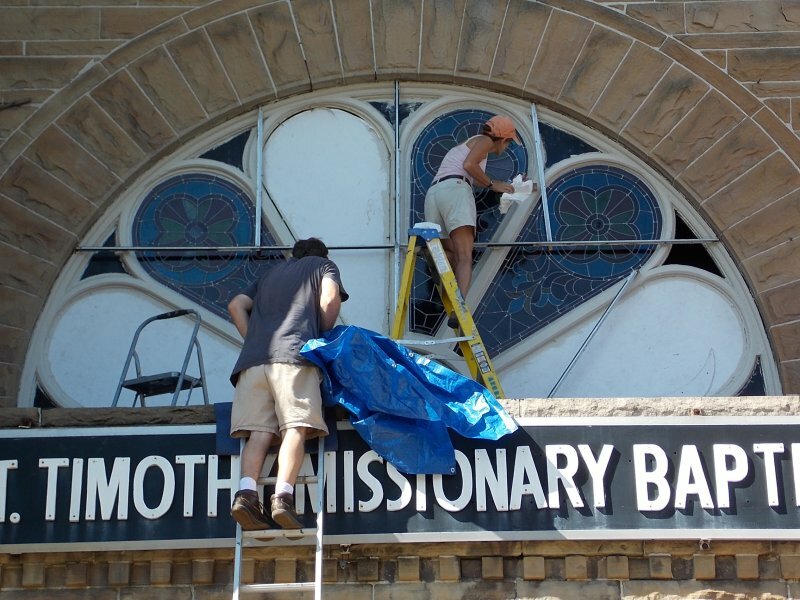 For window restoration and repair in a church or worship space, we first survey the condition of the existing windows and frames, and offer options for different phases of work: replacing or repairing broken panes or bulged panels; repairing or replacing wood, steel or aluminum framing; restoring historic painted glass; and, if required, complete re-leading of the windows.